William “Bill” J. Kieffer, 90, died Tuesday August 28, 2018 at Oak Park Place, Menasha. He was born August 16, 1928 in Darlington, WI. son of the late Peter and Caroline (Junger) Kieffer. Bill married Carol M. Prine on November 13, 1948. Bill was a member of St. Bernard Catholic Church. He always a hard worker, getting up early and staying busy all day was his ethic. Bill worked in the Cheese industry for over 50 years. He started at the age of 14 as a cheese maker, and later as a cheese consultant. Bill retired in 1998 as a licensed Wisconsin cheese grader. Retirement and Bill did not agree, so he worked part-time as a delivery driver for Syn-Cor Medical Supply. Bill did enjoy playing cribbage, card games, listening to Eddie Arnold music and golfing. He was also an avid Packer fan. 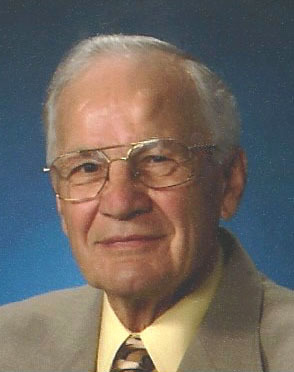 His greatest enjoyment was his time spent with his family, especially his grandchildren and great-grandchildren. Bill is survived by his loving wife of 70 years, Carol; and their six children: Candace (Jeff) Zondlo, Marshfield, Connie Hilber, Mayville, Michael (Linda), Charleston, IL, James (Nancy), Greenville, Richard (Terri), Delavan, WI, and Kari (Ted) Voissem, Appleton; 14 grandchildren; 17 great-grandchildren; and numerous nieces, nephews and cousins. He was further preceded in death by four sisters; six brothers; a grandson, Theodore Zondlo; great granddaughter, Madelyn Kieffer; and son in-law, Alex Hilber. Mass of Christian burial for Bill will be 11:00 AM on Tuesday September 4, 2018 at ST. BERNARD CATHOLIC CHURCH, 1617 W. Pine St., Appleton with Fr. Amal Roche officiating. Visitation will be held at the church on Tuesday morning beginning at 9:00 until 10:45 AM, with Mass to follow at 11:00 AM. Burial will be at St. Mary Catholic Cemetery, Appleton. Bill’s Family would like to extend a special thank you to the entire staff of both ThedaCare Hospice and Oak Park Place Assisted Living, Menasha, for all of their care and compassion.